LASCO 37-1813 In-Line Water Filter with 2-Inch Diameter and 10-Inch Length by LASCO at Friv 4 Friv . MPN: 37-1813. Hurry! Limited time offer. Offer valid only while supplies last. LASCO 37-1813 In-Line Water Filter, 2-Inch Diameter x 10-Inch Long x 3/8-Inch OD Compression Both Ends. 2-inch x 10-inch long in-line filter. 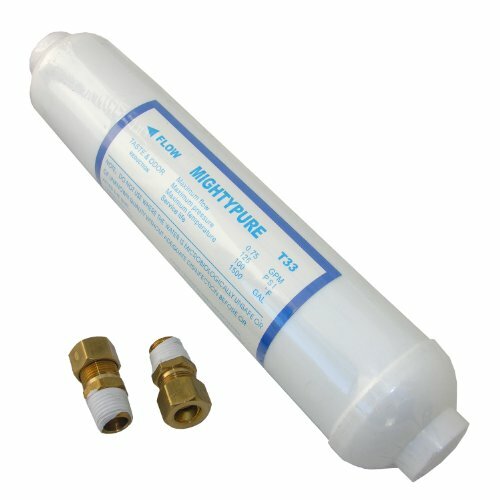 LASCO 37-1813 In-Line Water Filter, 2-Inch Diameter x 10-Inch Long x 3/8-Inch OD Compression Both Ends. 2-inch x 10-inch long in-line filter. 3/8-inch compression connection. Universal fits most. Use to filter taste in water. Filters 2000 gallons. LASCO, Lasso Supply Company Inc., The Preferred Brand! Service, Selection and Support! Larsen Supply Company is 3rd Generation, Family owned and operated for over 80 years. LASCO packaging includes helpful how to instructions and related project item information. LASCO has the largest retail plumbing line in the industry today with over 7000 packaged and 16,000 bulk SKU's. Visit our online web site catalog for one of the most complete product listing in the industry. If you have any questions about this product by LASCO, contact us by completing and submitting the form below. If you are looking for a specif part number, please include it with your message.